The late, revered rock critic Paul Nelson got to know many of his subjects intimately. Whether it was Leonard Cohen or Warren Zevon, Nelson’s aesthetic tastes and insistence on integrity endeared him to many of the artists he wrote about. 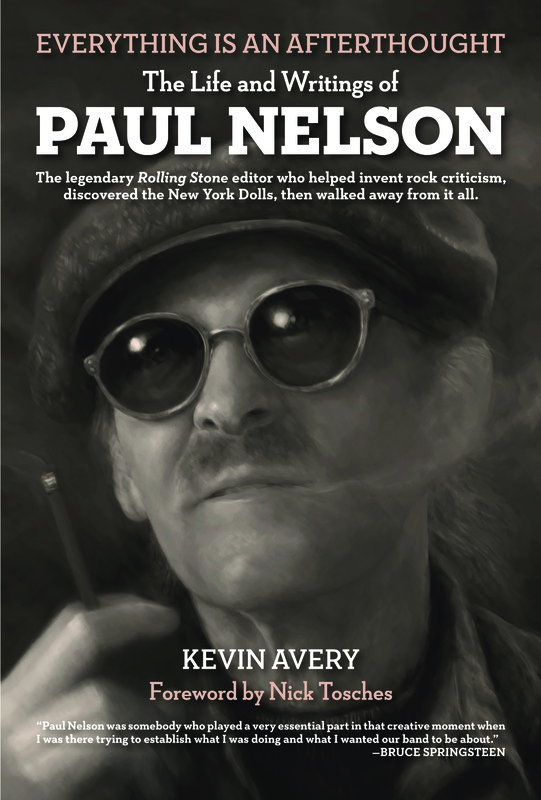 In this exclusive excerpt from Everything’s An Afterthought: The Life And Writings Of Paul Nelson, a new book which examines his work and influence, author Kevin Avery details Nelson’s relationship with singer-songwriter Elliot Murphy, one of the many artists to be tagged the “New Dylan” by the excitable rock press. Everything Is An Afterthought is due November 21 from Fantographic Books and is available for pre-order at Amazon.com. Elliott Murphy was Paul Nelson’s rock & roll dream incarnate. The singer-songwriter’s music was rooted as much in literary traditions—F. Scott Fitzgerald, Hemingway, and detective fiction—and films as it was Bo Diddley and Bob Dylan. The two men met in Paul’s office at Mercury in January of 1973. Paul’s professional courtship of the twenty-three-year-old Murphy extended beyond the two-Coke lunches at La Strada. Paul supplied him with early Dylan bootlegs and, with special import, presented him with the just released debut album by another East Coast troubadour. Paul told him to listen carefully. Bruce Springsteen’s Greetings from Asbury Park, N.J. immediately influenced Murphy. 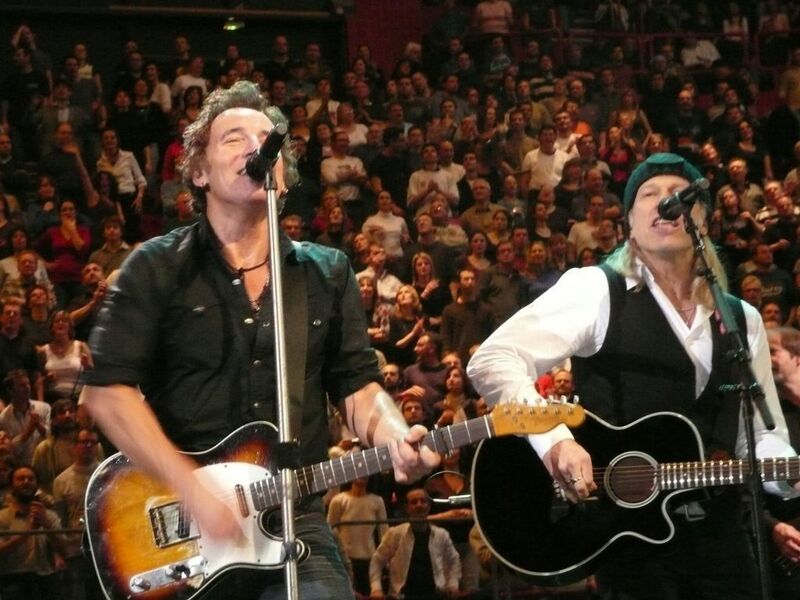 “Not so much in my own approach to music, but it gave me so much confidence.” Paul soon took Murphy to see Springsteen play Max’s Kansas City and, after the show, introduced them. At Paul’s spartan apartment, where the myriad of books and LPs created an orbit around the bed, TV, stereo, and the IBM Selectric typewriter situated on a board suspended between two sawhorse legs, Murphy noticed footprints low on the wall where Paul planted his feet and did one hundred sit-ups every day. Paul pulled open a drawer and took out two handguns, a .357 Magnum and a snub-nosed .38. Paul said he wanted to write a detective novel and, if he were going to write about guns, he needed to know how they felt in his hand. Despite Paul’s enthusiasm, the Mercury hierarchy remained lukewarm about Murphy, offering only a conservative $5,000 advance with a minimal royalty. Underwhelmed, Murphy said he’d think about it. By the next day, he and his brother/bandmate Matthew secured a $10,000 offer from Polydor. Murphy took the counterbid back to Paul, whose boss Charlie Fach refused to go higher than $7,500. 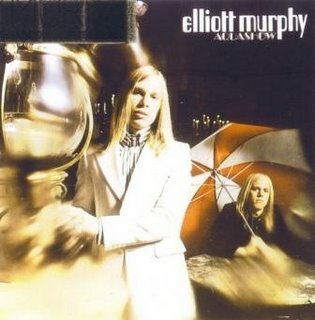 Murphy signed with Polydor and recorded his debut album, Aquashow. Paul dropped in on several of the sessions on the tenth floor of Record Plant East, where, down on the first floor, the Dolls were recording their first LP. Aquashow was released in November and Paul wrote about it a couple of months later. A budding singer-songwriter (from Long Island or anywhere else) couldn’t have hoped for a better coming out: Paul’s eloquent rave landed on the opening spread of the record-review section, right beside a critique of Springsteen’s sophomore effort, The Wild, the Innocent & the E Street Shuffle. And while Paul went out of his way to downplay any easy comparisons to Bob Dylan, a careless pull quote subverted his efforts: his line, “Aquashow is easily the best Dylan LP since John Wesley Harding,” was turned into the title “He’s the Best Dylan Since 1968,” thereby sealing Murphy’s fate as the next “new Dylan.” Nevertheless, what Paul wrote about Aquashow was as personal and heartfelt as Murphy’s creation of it. When the singer sang that he was “Waiting for some dream lover like a Great Gatsby,” it might as well have been Paul behind the microphone. Paul’s 1977 review of Just a Story from America was short and not so sweet. Whereas his expansive notices for the first three albums had each clocked in at over 1,200 words, this time around he said what he had to say in a fourth of that. Straining to call the record one of the year’s best and ending with a lovely coda, his sense of disappointment and regret was palpable. The Eighties proved difficult for both men. After Paul resigned from Rolling Stone, he occasionally met Murphy for lunch at Jackson Hole. He still ordered two Cokes but, in place of the veal piccata that he’d enjoyed during better times at La Strada, now he ordered a hamburger. One October evening in 1985, Paul met up with William MacAdams at Tramps on West Twenty-First Street to see Murphy perform. Both men arrived with heavy hearts. Earlier that day their hero Orson Welles had died. It was a bad night for Murphy, too, and having Paul there to witness it in an audience of only twenty-five or so made it even worse. Paul had reviewed Aquashow and Lost Generation, and Murphy “thought it was all going to be okay.” Pausing at the door, looking just as he had when Murphy first set eyes on him a dozen years earlier—same glasses, hat, moustache, a smoldering Nat Sherman stuck between his lips—Paul looked back at Murphy and said, “Well, it could have gone either way.” It was a farewell scene worthy of Raymond Chandler.